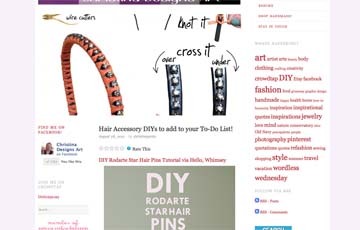 So I was bumming around on my blog tonight, and I was thinking how I really don’t like not having a sidebar on my homepage! I love how my banner looks and how I have large images accompanying my posts, but no sidebars really gets on my nerves. So I’ve decided to search for a new theme, and I am so indecisive about such things, I would love your opinions!! Right now I have the Ascetica theme which gives me 2 sidebars. And my banner still looks good at the top. The only thing I have found I don’t like is the problem with featured images. 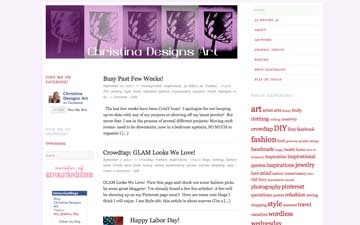 I always add a featured image to my post because I think its eye-catching and visually exciting. However with this, as you will see below, the featured image becomes distorted and massive at the top of the page. But without it, the posts won’t have thumbnails on the home page. What to do, what to do! I will keep this theme up for 2-3 days, in that time I’d love EVERYONE’S opinion, good and bad, please comment on this post with the pros and cons. I’ve taken some screen shots so later we will always remember what this theme looked like. Because after 3 days I will be switching to the next possible theme and we’ll do the same thing over again! So, what do you think? An improvement? 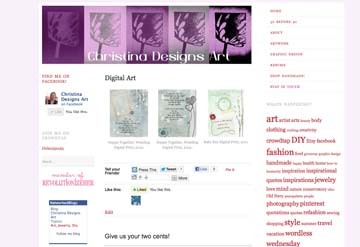 This entry was posted in Art, Uncategorized and tagged pros and cons, screen shots, sidebars, wordpress themes on September 10, 2012 by christinapertz1. I’m indecisive about these things to and am always changing things. I think this theme is a a bit plain with the background, but to busy everywhere else. Can’t wait to see the next one!